If you're a new cook and don't know where to start - you need to plan your menus. If you find yourself not knowing what to cook even though you've got a cupboard and fridge full of food - you need to plan your menus. If you find yourself buying on impulse at the supermarket, then having a fridge full of things that are going off - you need to plan your menus. If you find yourself cooking the same thing week in, week out and getting bored, then - yes, you've guessed it - you need to plan your menus. Also, if you need to make economies, then planning your menu and utilising batch cooking and leftovers can save you a lot of money over a month. Even if you're not affected by any 'credit crunch' it's still a good idea to minimise waste and therefore the cost of your grocery shopping - why spend money on things you're not going to use and throw away, when you could spend it on a holiday or new clothes. For this exercise, you will need some paper, a pen and your brain! Write down things you cook on a regular basis. Aim for 15 to 30 different meals. H'm... not as easy as it sounds - so, how about writing down the last 15 meals you cooked? Is there some repetition here? OK then - I'll do it and let's see what happens - these are the things I cooked over the last couple of weeks - these are not in the order we ate them. Roast chicken with all the trimmings - sausage, bacon rolls, home made stuffing, bread sauce, roast veg and plain vegetables with mashed potato and gravy. Bacon, sausage, egg, beans and fries. Cottage pie - made with the remnants of the braised steak and leftover vegetables. Smoked haddock cooked in milk, mashed potato, peas and broad beans - milk made into a sauce. OK - that's roughly my last 15 meals that I prepared at home. If you add breakfasts, it's been toast and or cereal every day - occasionally boiled eggs or a cooked breakfast at the weekend or on our days off. Add lunches - we don't normally eat lunch at home, nor do I 'pack up' any more - my son's left school. Take my list - there is some variety there and I've not wasted anything - there was nothing in my fridge that 'went off'. I'll go through it and explain where I doubled up, where I used leftovers and how/why I ended up cooking things that I had bought. My Sunday roast chicken dinner - I doubled up the veg and gravy I prepared on the Sunday so that I could re-heat it in the microwave for Monday - giving me a much easier day. I cooked extra roast vegetables on the Monday, but I like it fresh and it looks after itself once you've started it off. I stripped off the chicken and froze that to use on Friday for a curry - a simple family curry - plain yoghurt, canned tomatoes, curry paste - served with rice, naan, poppadoms and mango chutney - cooked double rice and froze half. I boiled the chicken carcass, stripped off the extra bits that were now easy to get at and made a stew which we had with dumplings on Wednesday. The braised steak we had for a Sunday dinner - I deliberately doubled up the veg and had a bit of steak left. I chopped up the steak and froze it - I froze the gravy, I froze the mashed potato and vegetables - all in separate bags - did this while I was clearing up the kitchen after we'd eaten. I planned to use this on Thursday, so Wednesday night, I got it all out of the freezer to defrost - it was in one carrier bag in the freezer and so easy to identify. Added some peas and mushrooms to the steak to 'pad it out' - put it in a dish, topped it with the defrosted mash - cooked a few new potatoes, served it with the re-heated veg and gravy and I had a virtually instant meal. So - a good meal with minimal effort AND no waste. Spanish Omelette - I had some baked ham that needed using (from the baked potato meal) some leftover boiled potatoes (from the cottage pie meal) I added some peas from the freezer and made sure I had enough eggs. Leek and potato soup - I had seen some leeks and thought I might use them for my Sunday dinner - I couldn't be bothered when it came to cooking, so on Tuesday, I cooked them and made leek and potato soup. Celery soup - a bargain I saw at the supermarket - couldn't resist, but then didn't use it fresh - knew I would use it in a soup though - which I did - can't remember which day though. Smoked haddock - I cooked an extra fillet, flaked it and have frozen it - I intend to use this to make fish cakes the next time I have leftover mash to use up - shall maybe boil a couple of eggs to chop into it as well. I baked double the jacket potatoes and have frozen them to use within the next fortnight - just heat in the oven or in the microwave. I had doubled up on the spaghetti in week 1 and made the pasta bake out of chopped up spaghetti that had been frozen from the week before. Corned Beef Hash - I had extra potato left - can't remember which meal - and also some baked beans left over - I opened another can of beans, peeled a few more potatoes and chopped an onion - job done. You could virtually run this menu or similar for 30 or more days by doubling up on some of the cooking and putting the stuff in your freezer. Earmark it for a specific day (like I did, I said 'I'll use this Thursday') or designate a day that you cook from the freezer every week. Double up when you cook spaghetti, any pasta or rice and freeze half of it to be brought out another day. When you do your shopping list, check what's in the freezer before you go out - if you've got some pasta that needs using up, buy some minced beef or canned tuna and pasta sauce - or make sure you have canned tomatoes, tomato puree and herbs. If you've got some rice - plan to make a chilli or curry. If you've got mashed potato - plan some fish cakes or a shepherds/cottage or fish pie. If you've doubled up on minced beef, then plan a chilli or bolognaise - you could even use that spaghetti that you doubled up when you had tuna pasta last week! Planning your menus needn't be rigid. My mother-in-law used to cook the same thing every week - her lunches were:- Saturday and Sunday roast beef - Saturday hot, Sunday cold, Monday shepherds pie, Tuesday fish, Wednesday braised steak, Thursday braised steak, Friday fish and then it started again on Saturday with Roast Beef - you got it - you knew what day it was by what she served - well, you knew it was Sunday because the beef was cold, but could get a bit confused between Wednesday and Thursday - Tuesday and Friday were OK - because you could remember whether it was shepherds pie or braised steak the day before! Every dessert was stewed fruit with custard - apple, apple and blackberry, apple and anything, apricots, prunes (twice a week). She used to bake buns twice a week - that covered afternoon tea along with a sandwich - every supper was two cream crackers and a slice of cheese - elevenses was coffee and two biscuits. Breakfast was toast and cereal. Boring - BUT - she never ran out of anything and her shopping list was the same every week - not for her the worry about what to buy or cook. She used to go to bed at 9pm every night and get up at 7.30 am every morning - she lived to be 79 - my father in law continued the same regime after she died - he lived to be 96! Now, I'm not suggesting you follow this menu - it would bore me rigid - but there is room for repetition in your weekly menus although there doesn't have to be. If you're stuck for ideas, approach your menu planning from a different angle. That's 7 meals for the week - you can adjust this if you're vegetarian or you want less meat or more fish - adapt it to your own needs - if you can't stand something, then leave it out and substitute something else. It's a much simpler way of choosing what you're going to serve and buy this week. A few suggestions to consider when planning your menu - choose your own according to your budget and tastes. Meat - roast, braised, grilled, barbecued, fried, beef, pork chops/steaks, lamb chops/steaks, chicken, corned beef, sausages, bacon, gammon, burgers, hotdogs. Fish - smoked fish, haddock, cod, halibut, salmon, mackerel, tuna, swordfish, mussels, canned fish - look at what's fresh at the fishmonger - you can bake, grill, fry, poach - buy steaks or fillet. Pasta - spaghetti bolognese, baked seafood pasta, lasagne, the sky's the limit with pasta - fish, meat, cheese or vegetable based sauces and any type of pasta you like - fresh or dried. Vegetable - leek and potato soup, vegetable soup, roasted vegetables with feta cheese, jacket (baked) potatoes with cheese and/or coleslaw and/or beans or tuna or prawns, salad meal - add new potatoes or bread and meat, fish or cheese if you want - coleslaw, potato, couscous. And the vegetables that you're going to serve with your main meals - carrots, parsnip, onions, cauliflower, broccoli, corn, sweet potato, squash, courgettes, peppers, green beans - choose a couple per meal plus potato - boiled, new, mashed, roast, steamed. Add or substitute - a pizza, takeaway or a meal out - quiche, omelettes etc. Where to get ideas for meals? Use this list to trigger ideas - ask your family what their favorites are - look in magazines and recipe books. You can clip recipes from magazines and papers as you see them - just incorporate them in next week's list - they may become firm favorites - they may be dreadful! BUT you've tried something different. Again consider categories if you always have dessert - we hardly ever do, but here's 7 different categories if you need the trigger - you don't have to use them all - they're just to kick you off for ideas. Look at breakfasts - what do you have time for? Does everybody have to get out quickly? Cereal and toast are good for weekdays - maybe at the weekend, you could plan pancakes, boiled eggs, poached eggs on toast, beans on toast, bacon sandwiches. Work out how many sandwiches you will have to make - a medium sliced loaf will make 9 rounds (2 slices) and leave the crusts - make croutons or breadcrumbs out of those! Or use pitta breads with salad and filling. Slice pitta breads, make cheese straws or buy breadsticks to dip in mayo or other dipping sauce. Cut up one or more of carrot, celery, pepper, cucumber into sticks - either have plain or with dipping sauce. Chop up some fruit - melon, pineapple, grapes, mango, kiwi all keep OK once chopped. If you have two or three to pack up, then rather than make everybody the same sandwich, make 3 different types and mix the sandwiches, so your family get something different - if you feel like it of course, don't make it a chore. Leftover pasta, sausage - soup in a thermos can all be used to take to work or school. Freeze your leftovers to use for lunches where you can and check the freezer before you make your list for the week. It's an efficient use of your time and fuel to double up - it also gives you some easier nights where all you have to do is assemble dishes rather than start from scratch. Double up your rice one week, pasta the next - make extra mash and veg when you can to use later in the week or the following week. Cook extra minced beef and leave it plain so you can use it in chilli, pasta or as a meat meal. Bake extra potatoes - they take a long time to cook in the oven and they freeze well for a few weeks - good use of your time and fuel. Take advantage of special offers - buy one get one free, or near date, marked down goods - when you're shopping - as long as you have time to prepare for the freezer, virtually anything can be a bargain. It's not a bargain though if you buy it, don't use it and end up throwing it away. Meat joints - 6 to 8 oz (150g to 225g) per adult. Steaks/chops - normally portioned per adult serving when you buy them - one per adult. Braising steak and similar - 4 to 6 oz (100g to 150g) per adult. 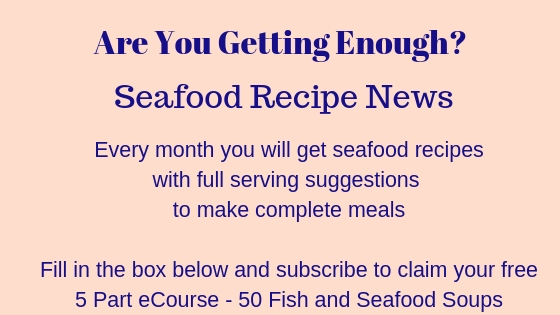 Fish - 4 to 6 oz (100g to 150g) per adult. Eggs - 2 per adult. Potatoes - 8 oz (225g) per adult. Vegetables - total per meal mixed (2 different) 8 oz (225g) per adult. Rice - uncooked 4 oz (100g) per adult. Pasta - uncooked 4 oz (100g) dried per adult. You may want more or less than this - depends on people's appetite, but these are average portions - a big meat eater will probably like 2 lamb chops per portion - they are small as a rule. I normally serve larger meat or fish portions - I feed two men who are about 6'4" tall with big appetites - I'm 5'8" and I like my food too! A larger meat joint is generally more economical to buy - it shrinks less when cooked. Menu planning software will merely give you a list of options to click on. It will ask you to choose from beef, pork, lamb, veal or fish for example - it will then give you a list of recipe titles - you click on the one you want – tell it how many adults and children you’re serving and it will churn out an ingredient list. Then it will take you to the next day and so on - it will calculate the quantities you need to buy and give you a shopping list. So - let's get back to your pen, paper and brain! Draw up a menu based on the above categories - that's one piece of paper. Write down your mains with or without desserts. Write your lunch list if you need one. Decide on your breakfasts and check the cupboard for cereal. Write down a list based on the menu you have planned - use a piece of paper to write down the ingredients in categories - meat/fish, vegetables, frozen, canned veg, fish, meat, baking items, sauces, rice, pasta, eggs, bread, dairy, herbs, seasonings etc etc. As you're going through, check the cupboards for the basics - do you have for instance, horseradish, cranberry, mint, mayonnaise, salt, pepper, ketchups, curry paste, flour, sugar, stock cubes? If you're getting low on any of these items, add them to your shopping list. It's a good idea to have a list of things you've run out of that you update during the week - pin it to a noticeboard or use a fridge magnet to stick a piece of paper to your fridge where you can write down what you're running low on. How many loaves will you need? Maybe you'll need a mid week shop for fresh bread. Do you need coleslaw or sweetcorn to mix in with your sandwich fillings? Milk, cheese, eggs? Once again, a mid week shop for milk might be necessary. Extra milk is needed for sauces if you're going to use them - milk powder or long life is fine for some purposes. Fruit - packed lunches, desserts, meals? Custard powder, jelly cubes, ice cream, cream. What vegetables do you need to go with the meals - don't forget the onions that go into curries, stews, bolognese, stuffings etc. How many baked potatoes do you need? Salad meal - do you need extra tomato, cucumber, pepper etc for sandwiches or crudites? Would you be better buying a bag of salad leaves rather than waste half a lettuce or could you use it in your sandwiches? Do you need to make stuffings or sauces - do you have the right herbs? Don't forget the 'hidden' ingredients - frozen peas or mixed veg in the rice dishes for instance, parmesan to go with the pasta. Do you need frozen pastry or will you make your own? Have you got any ready cooked pasta, rice or potatoes in the freezer? Any prepared minced beef or other portions that need using up - how can you utilise them this week? A basic store cupboard should contain the things you use in cans regularly - tomatoes, beans, sweetcorn, fish for example. The first few times, will take you longer - go through every item on your list and run through the ingredients - make sure you either have them in your cupboard or assess how much you'll need. It's not so critical in this day and age with supermarkets open virtually round the clock, but to plan and shop weekly is a more efficient use of your time. It's not the end of the world if you find you have to nip out for a crucial ingredient - the problem there is, you expose yourself to buying more than just a pack of eggs! You don't have to buy expensive menu planning software for this job - all it adds is recipe suggestions - you can get those from recipe books you own, from magazines or newspapers that you buy or from your own head. Once you're in the swing of it, you'll be able to menu plan and produce a shopping list easily.